On September 15, 1963 in Birmingham, Alabama, four young African American girls went to church. Addie Mae Collins, Denise McNair, Carole Robertson, and Cynthia Wesley never got to return home that day. They were killed in a racially motivated bombing at their church, 16th Street Baptist Church. Four Spirits by Sena Jeter Naslund is not the story of those four girls, but instead is a tribute to their spirits, who do occasionally appear. It is the story of the city of Birmingham itself at that turbulent moment in history, of its people, black and white, and how the Civil Rights movement played out there. Told through the viewpoints of different characters from different ends of the racial divide, it's not a pretty story, but it is one that bears revisiting. Sena Jeter Naslund is a favorite author of mine, and this powerful book is probably my favorite of her books. She is an author who is a master at taking epic subjects and making them into unforgettable stories. From the acclaimed author of the national bestseller Ahab's Wife comes an inspiring, brilliantly rendered new novel of the awakening conscience of the South and of an entire nation. Written with the same scope and emotional depth as her previous award-winning novel, Four Spirits is set in Sena Jeter Naslund's home city of Birmingham, Alabama, a city that in the 1960s was known as Bombingham. Naslund brings to life this tumultuous time, weaving together the lives of blacks and whites, civil rights advocates and racists, and the events of peaceful protest and violent repression, to create a tapestry of American social transformation. Stella Silver is an idealistic, young white college student brought up by her genteel, mannered aunts. 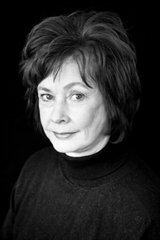 She first witnesses the events of the freedom movement from a safe distance but, along with her friend Cat Cartwright, is soon drawn into the mounting conflagration. Stella's and Cat's lives are forever altered by their new friendships with other committed freedom fighters. A student at a black college, Christine Taylor is inspired to action by the examples of Rosa Parks, Martin Luther King Jr., and the Reverend Fred Shuttlesworth. She courageously struggles to balance her family responsibilities, education, and work with the passions and dangers of the demonstrations. Her friend Gloria Callahan, a gifted young cellist and descendant of a runaway slave, tries to move beyond her personal shyness and family coziness to enter a wider circle, including blacks and whites, men and women, all involved with the protests. Lionel Parrish, teacher, preacher, and peddler of funeral insurance, battles his own demons of lust and self-preservation, while New York activist Jonathan Green gives up a promising career as a pianist to work for racial justice in the South. These characters all add their voices to the chorus that makes up this symphony of innocent children and the mythic elderly, the devoutly religious and the skeptical humanist, the wealthy and the poor, the city and the country. 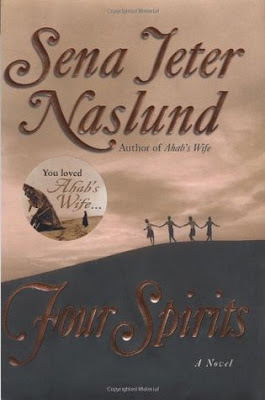 Poignant and evocative, rich in historical detail, and filled with the humanity that is the hallmark of Naslund's fiction, Four Spirits is a compelling tale that transcends tragedy and evokes redemptive triumph. Author's Notes: When I was a college student in the early sixties in Birmingham, Alabama, I promised myself, if I ever did become a novelist, that I would write about the acts of courage and tragedy taking place in my city. I would try to re-create through words what it was like to be alive then; how ordinary life went on, how people fell in and out of love, how family members got sick, how people worked ordinary jobs, tried to get an education, worshiped, looked for entertainment, grew up, died, participated in the great changes of the civil rights struggle or stood aside and watched the world change. There were many horrors and haunting events but none more powerful than the murder of the four young girls to whom this book is dedicated. In my imagination they stand in a sacred circle, a ring of fire around them. I do not step into that Circle. That is to say, I do not try to re-create them. Their families and friends are holding them dear the way they really were.